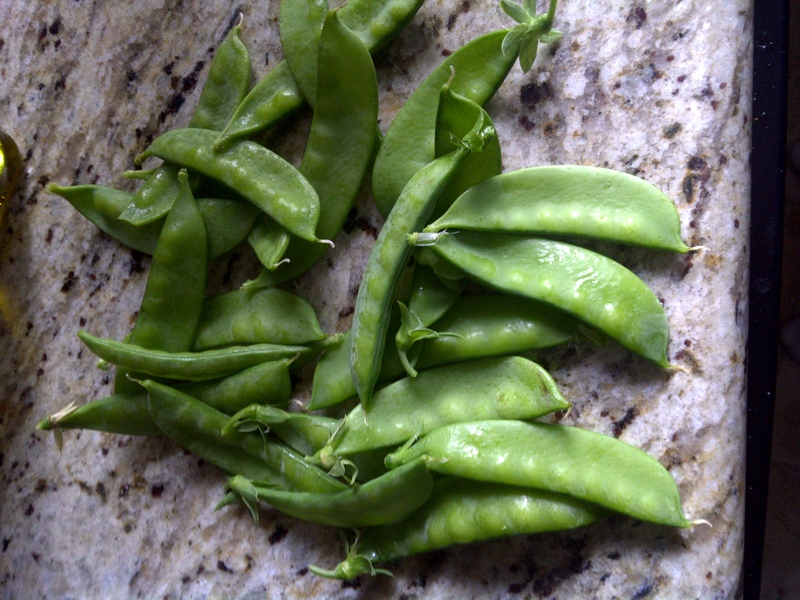 My mom grows all sorts of veggies outside of our house. 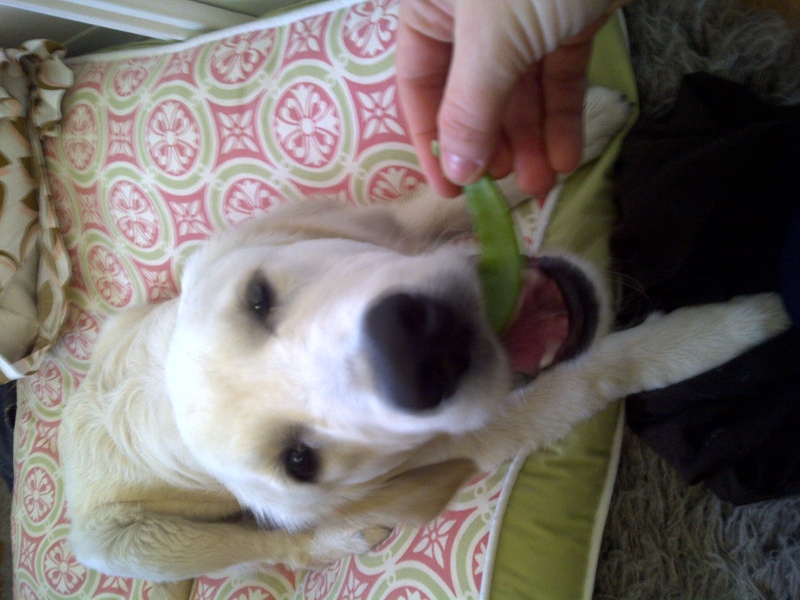 Recently she has been giving me snap peas. There is a huge vine outside that they grow on. I am not allowed to pick my own because then I might destroy the whole plant so if she is feeling nice she picks me a few and hands them to me and I happily accept. 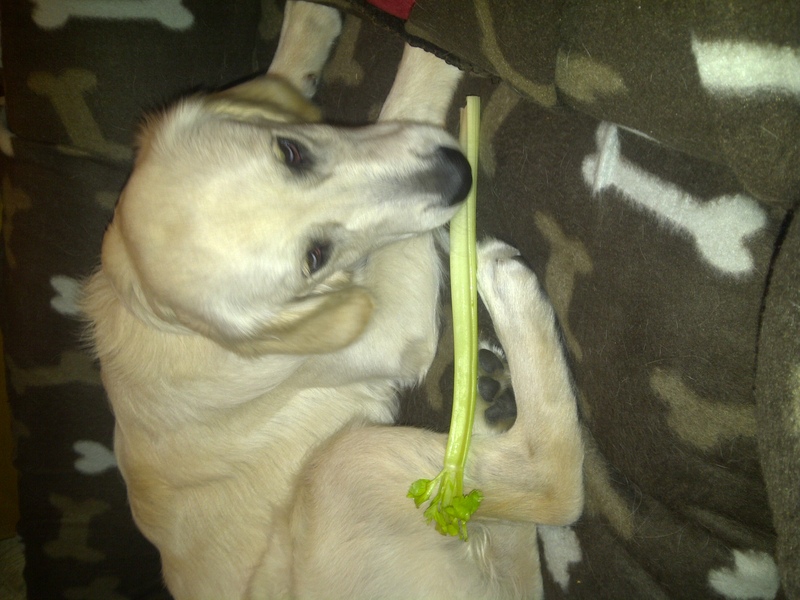 Other than that I have been eating celery too, which is just crunch…. almost no flavor, but still fun to eat.